I discovered this right-angled vertex in the same constellation as the vertex from yesterday. One can tell a bit about the painting process from the photo. The blue shows on the white ‘L’ shape, as if foot traffic skuffed some of it away. 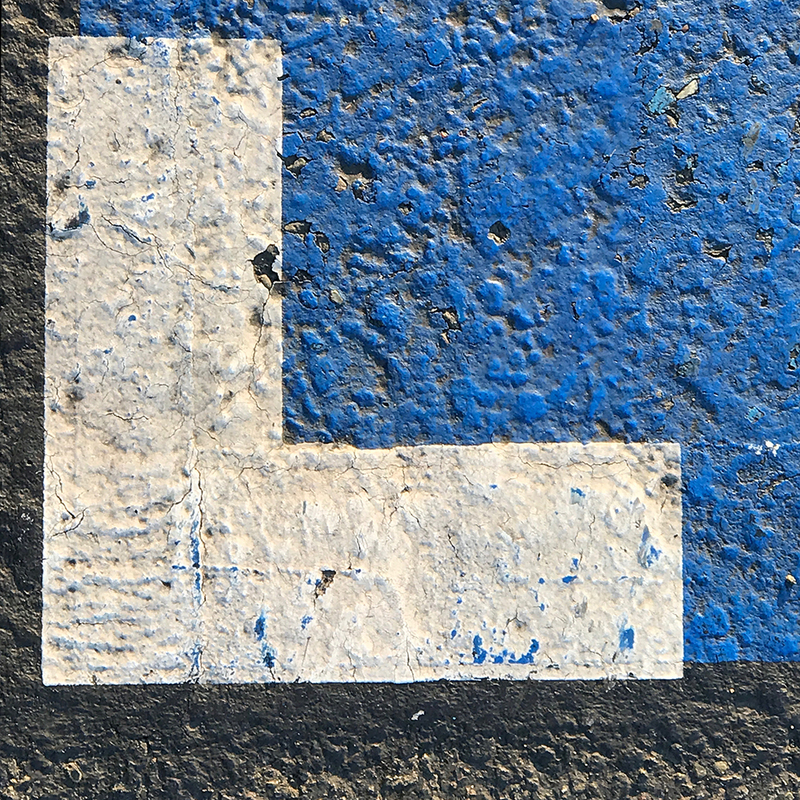 The white must have been painted over the black at the bottom of the ‘L’, which was probably painted at the same time as the blue. Again, the texture is the feature that attracted my eye. I got this shot just before the sun sank below the horizon. That is the best time for street texture. This entry was posted in Personal Stories and tagged creativity, found art, painted pavemnet, painting, photography, street photography, texture, visual arts. Bookmark the permalink.